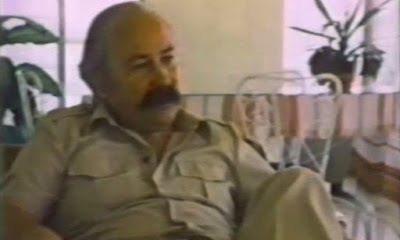 The British newspaper the Guardian reports on the death of former CIA officer, spy and traitor Frank Terpil. To those not in the know, he would introduce himself as Robert Hunter. An Australian retiree, he said, whiling away his latter years with his notably younger Cuban wife, in a simple bungalow overlooking the Playas del Este, a string of white sand beaches outside Havana. The cover fooled most visitors. But there were plenty of clues it wasn’t true. The broad Brooklyn accent; the Hemingwayesque white beard. And a disarming, encyclopaedic knowledge of African and Middle Eastern political leaders, covering five decades. Robert Hunter wasn’t really Robert Hunter at all. He was Frank Terpil, rogue CIA agent. A man described as a “maniac” by the undercover US policeman who helped convict him in New York in 1981 on charges of seeking to sell 10,000 machine-guns and 20 tonnes of plastic explosives to Libya. A coldly intelligent, no-scruples dealmaker, and confidant of the later 20th century’s most brutal dictators, from the Shah of Iran to Idi Amin.